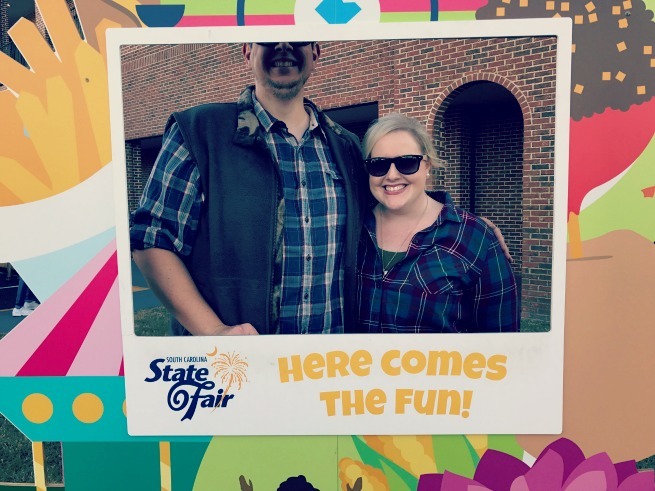 This past weekend, M and I (along with my sister and her boyfriend) made the one hour drive down to Columbia to the South Carolina State Fair. 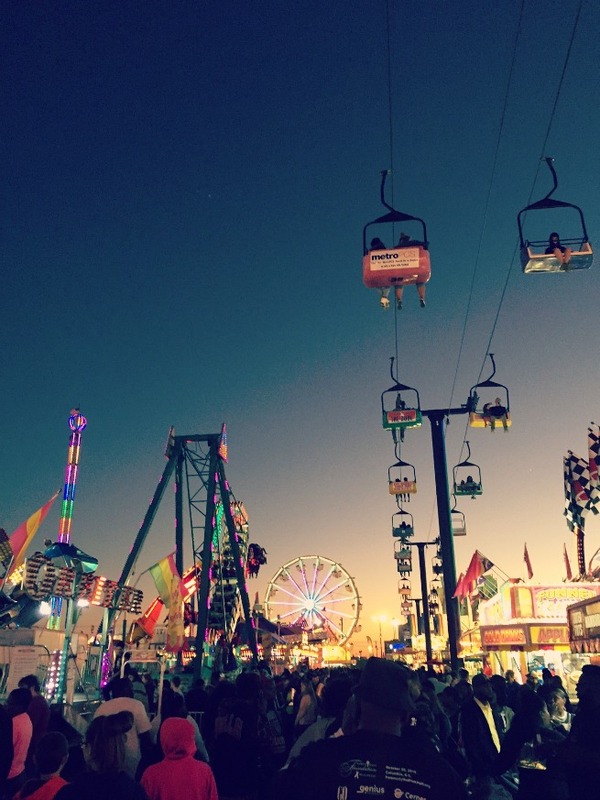 Man, I love the fair. Some might even say I have an affair with the fair. 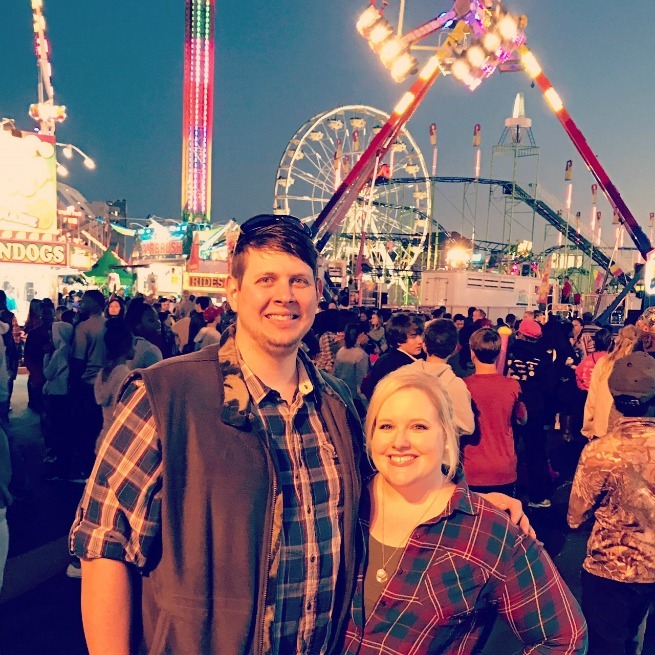 Yes, it's all run by some big entertainment company these days and yes, most of the rides and food trucks are just different versions of the same thing...but you just can't beat the atmosphere of the fair. The weather was perfect. Low 60s, sunny and breezy and we came late afternoon/early evening so we could witness the fair at night. (arguably the best time to see it!) We rode the ferris wheel (the only fair ride I will actually ride) and ate ourselves silly. 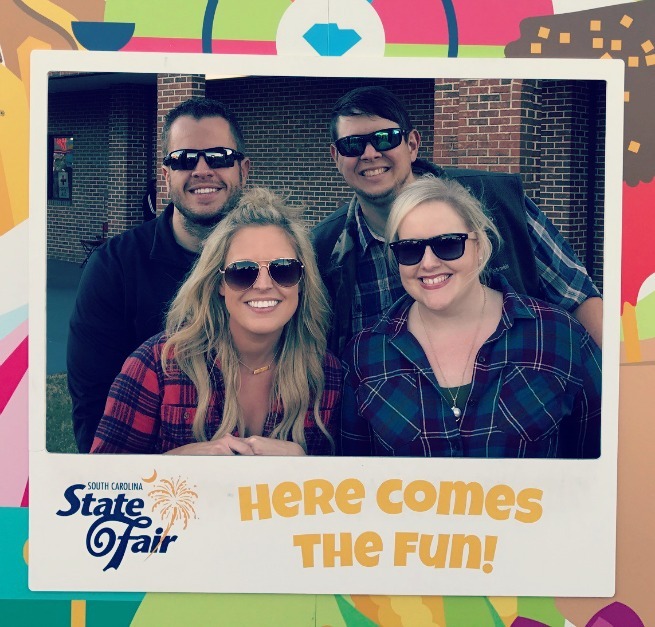 And that's not an exaggeration...between the four of us I think we downed an italian sausage sandwich, nachos, 3 corndogs (the BEST! ), 1 funnel cake, homemade chips, a bucket of mini donuts, 2 frozen lemonades and countless bottles of water. 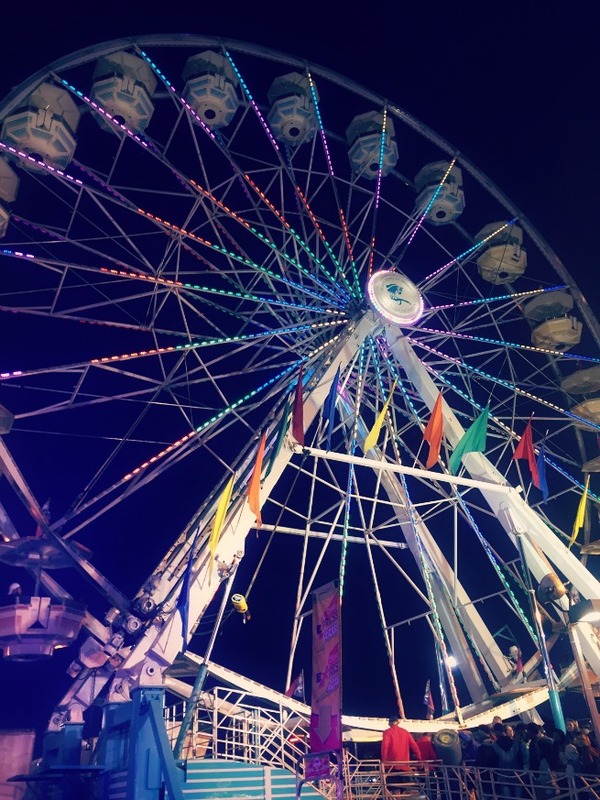 Low key...fair food is the best. 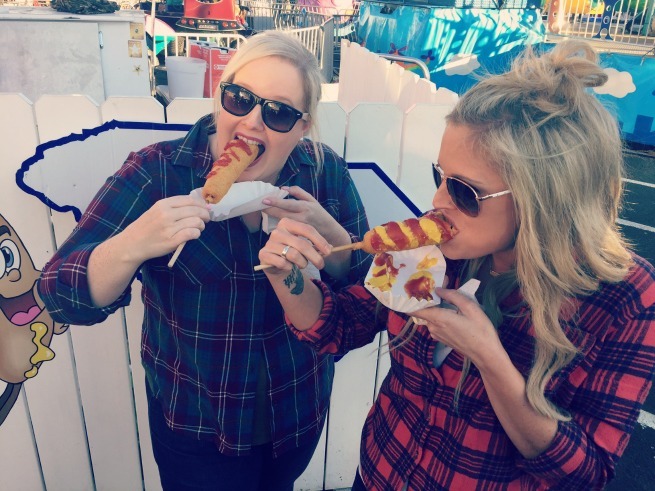 My sister and I started the fair food tour by putting down these corndogs fairly quickly into our arrival. 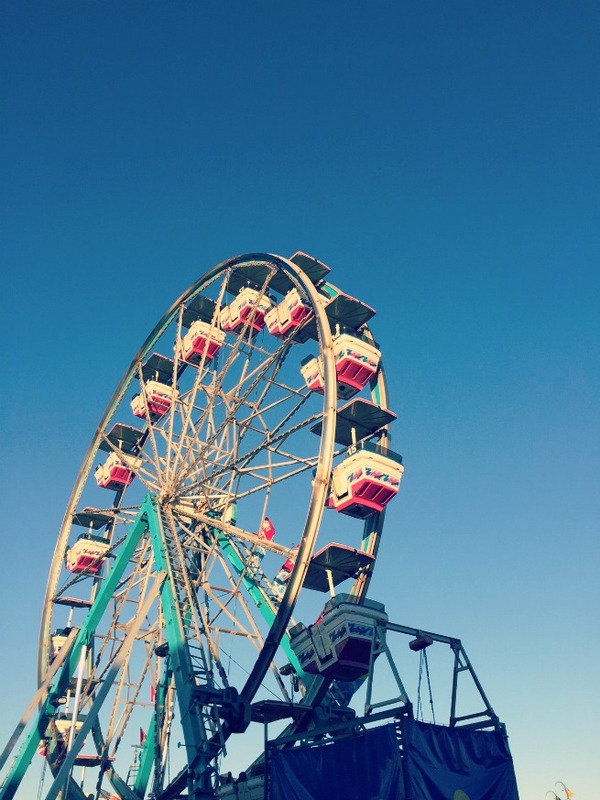 I kind of have a thing for photographing ferris wheels. View from the top of the ferris wheel at night. Spectacular!